Since the game of baseball became an immensely popular sport in the mid-1850’s in the New York & Massachusetts region of the country, theories have existed as to when and where the game originated. The most popular theory is the Doubleday Myth, call so because it has been thoroughly debunked by great research and the discovery of prime sources that prove the theory to be a myth. Historians have exhaustively tried to solve this great mystery, and have turned up some interesting evidence over the past ten years. Author David Block’s “Baseball Before We Knew It”, is probably the best comprehensive book on the matter. Block has discovered evidence that some form of bat and ball games were being played by the ancient Egyptians. He has discovered woodcuts of children playing bat and ball games from as early as 1301! The current general consensus is that our modern game of baseball is derived from changes in some sort of bat and ball game implemented by the New York Knickerbockers in 1845. Prior to these changes, base ball was most likely known as town ball, which is the rue American origin of the modern game. In fact, “town ball”, may have been called base ball many years prior to 1845. In 2004, Baseball Hall of Fame Historian and noted author John Thorn discovered a reference to a ban on “baseball” in a town by-law in the town of Pittsfield, Massachusetts. 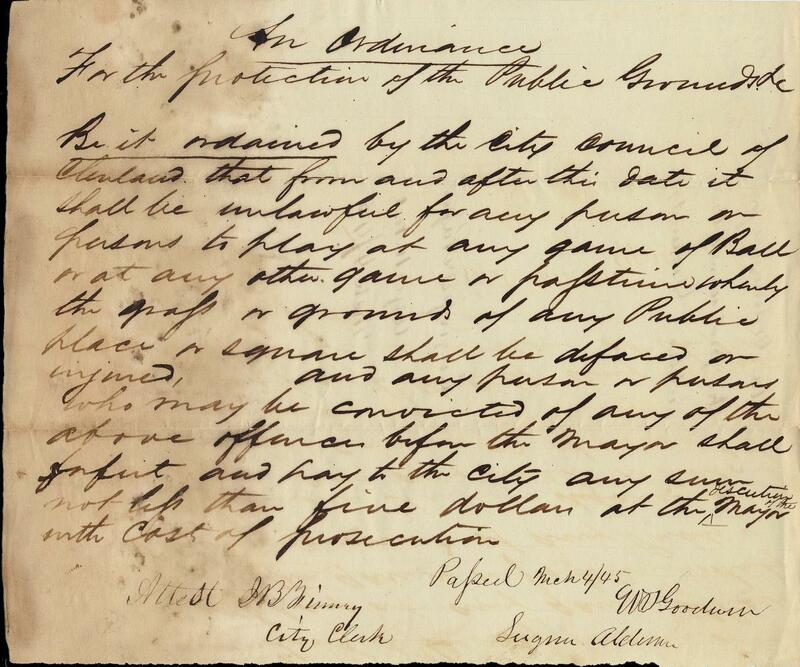 The by-law was written in 1791, and was enacted to keep the game from being played within 80 yards of a new town meetinghouse built in the town. Evidently, kids were breaking windows by playing the game well over 200 years ago. Laws such as this became very common as the game became more popular. There was even a ban on ball playing in Cleveland, enacted in 1845 (see above photo). The ban reads as follows: "it should be unlawful for any person or person to play at any game of Ball, or at any other game or pastime whereby the grass or grounds of any Public place or square shall be defaced or injured." The ban was lifted in 1856. You may ask, how does Cleveland fit into the mystery? Recent discoveries here in Cleveland corroborate what Mr. Thorn found in Pittsfield. In addition to the 1845 Cleveland ban on ball playing, which suggests that the game was popular enough to warrant a law banning it’s play in order to save countless windows around public square, I have found other references that show the game was being played here close to the same time as when the game was banned in Pittsfield. Pittsfield, Massachusetts, is located a mere 35 miles from the Connecticut border. 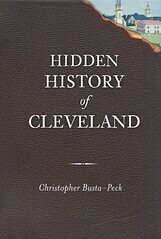 Connecticut claimed the Western Reserve as a territory from 1662 to 1800, and Cleveland was, and still is, by far the largest, and one of the oldest settlements in the Western Reserve. The land was settled by residents of Connecticut, and Cleveland was founded by Moses Cleaveland of Connecticut. According to an newspaper article from the Cleveland Leader from July 9, 1859, the game of baseball had been around Cleveland for quite some time. The find here is that the article ties the game in with the “early settlers”, which were people that came here in the time period of 1796 to the early 1800’s. The fact that a 64 year-old person was playing the game suggests that the game was popular, and maybe something he learned in childhood. A 64 year-old man in 1859 would have been a child during the time of settlement. Another reference describes how the game had been around for some time in the area. 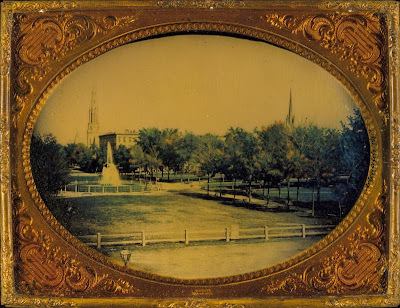 It is interesting to note that this game at Public Square (see above photo of ball diamond on Public Square in 1859) took place right after the ban from 1845 had been repealed in 1856! Further, that fact that again, old residents as well as young people were playing “the invigorating OLD game of baseball”, suggests that the game had been around the area for quite some time. 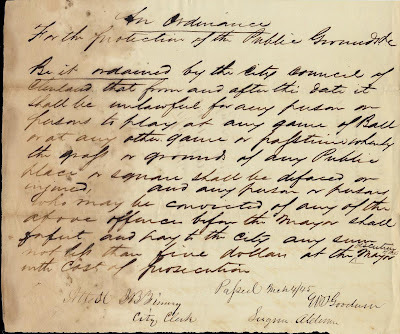 A final piece of evidence comes from a Cleveland newspaper article from April 15, 1841. The article again references “early years”, and ”earlier days”. For a city that was a mere 45 years old at the time of the article, early years and days can only solidify that argument that the game was being played by the settlers of Cleveland and the Western Reserve. A case can be made that the game of “ball”, “town ball” and/or “base ball”, was imported from Connecticut, a mere 35 miles from the earliest reference to the game in America in Pittsfield, Massachusetts. The game was cultivated, and played by our earliest settlers, who passed the pastime down to their children and grandchildren. The popularity of the game was such that the city banned its’ play in 1845 due to the same issues leading to the ban in Pittsfield in 1791 – broken windows and ruined grass. The evidence found here in Cleveland merely corroborates the theory that the great game of base ball, in some form, was being played in America for quite some time. Base Ball on the Western Reserve, James Egan Jr.